Nvidia's Turing architecture has arrived on the scene with the promise of revolutionary enhancements to PC graphics. The era of ray-tracing and AI-based game development is officially upon us, but as is often the case with forward progress, there are a few immediate hurdles. Games employing such technologies are still in the works, and with prices starting at £750 for an RTX 2080 (rising to £1,100 for an RTX 2080 Ti), most gamers have been priced out of proceedings. A third Turing GPU, dubbed GeForce RTX 2070, hopes to alleviate some of the financial burden and launches today priced from £459. Hardly pocket change, yet the introduction of ultra-premium parts in recent years has paved the way for a new level of mainstream. In today's world, half-a-grand can be considered a mid-range outlay for many forms of technology, be it graphics card, processor or mobile phone. Based on the purpose-built TU106 GPU, the 12nm RTX 2070 borrows liberally from its bigger, better-equipped siblings. 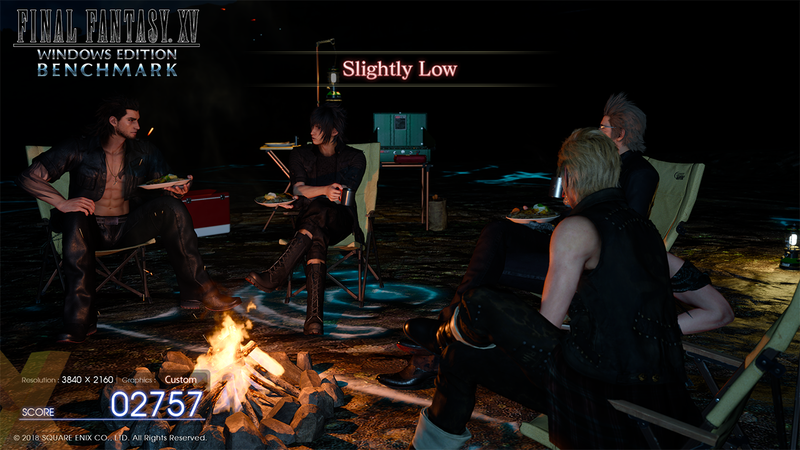 As part of the snipping process, a further 10 streaming processors have been shaved from the RTX 2080 specification, giving the third-tier GPU a total of 2,304 shaders and 144 texture units. Boost clock has also been reduced, falling from 1,710MHz to 1,620MHz, though the back-end remains largely intact, with 64 ROPs, a 256-bit memory bus and 8GB of GDDR6 memory dialled-in at 14Gbps. Unlike GTX 1070, Nvidia has chosen not to hamper memory on its x70-series card of this generation. The specification holds no major surprises, though with the additional Tensor and RT cores, TU106 remains a particularly sizeable chip, measuring 445mm² and carrying almost 11-billion transistors. It is almost as large as last year's flagship, the GTX 1080 Ti. Will the forward-looking architecture prove its worth in the months ahead? That remains to be seen, but the promise is undeniable. 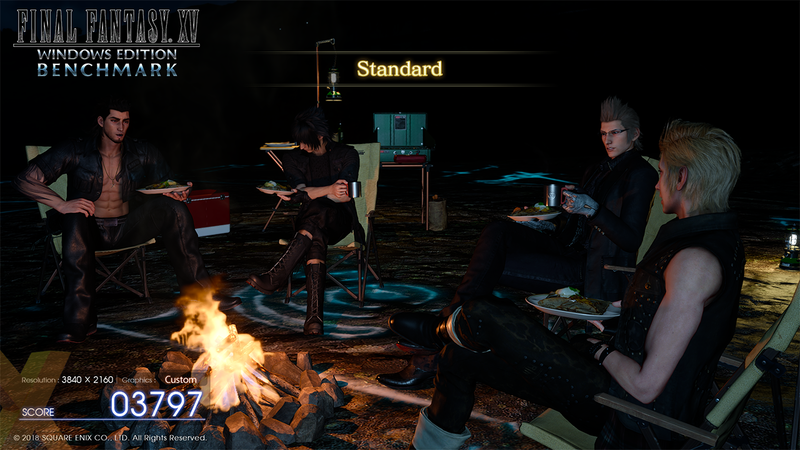 Nvidia is having to use custom demos to highlight the potential of AI-based rendering enhancements such as DLSS, with Final Fantasy XV being a favourite. Running the in-house test reveals a performance increase of almost 40 per cent, as benchmark score climbs from 2,757 using traditional TAA to 3,797 using DLSS. Such a boost is not to be scoffed at, yet we need to see real-world games before we can officially label RTX as a game-changer. 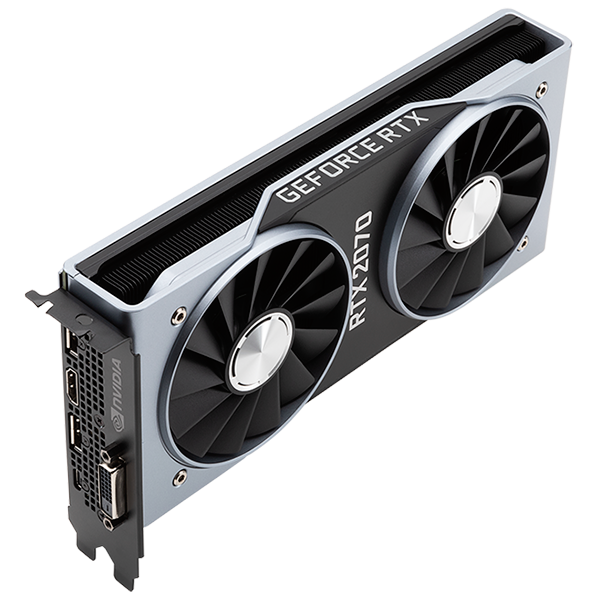 In keeping with other cards in the series, the RTX 2070 will be made available direct from Nvidia in Founders Edition guise for an additional $100 premium. The dual-fan cooler looks fantastic and, given that it works a treat on the RTX 2080 Ti, we imagine it will have no problem taming this third-rung chip. As before, Nvidia is ensuring that all RTX FE cards are factory overclocked as standard. For RTX 2070, that means boost clock rises from the default 1,620MHz to an RTX 2080-matching 1,710MHz, though as a trade-off, board TDP climbs from 175W to 185W. It would be fair to say that the newly-improved Founders Edition has taken away some of the appeal of third-party designs from Nvidia's army of add-in-card partners; why purchase a huge, ostentatious Gamer Rox OC Turbo Insane Edition when the elegant Founders Edition is readily available? Perhaps aware of this conundrum, Nvidia has opted not to sample UK media with a reference board for the RTX 2070 launch, putting the spotlight entirely on partners who are bringing multiple SKUs to market. That being the case, let's shift our focus to the Palit RTX 2070 Dual.